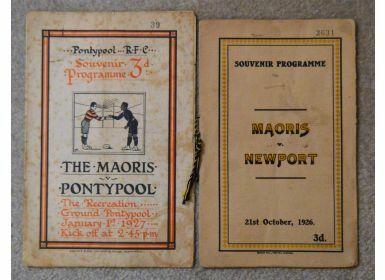 1926-7 Maori Rugby Programmes at Newport & Pontypool: Darkened with age, and in the latter case heavily foxed, with some grubby pages close to being detached, but nonetheless very evocative reminders of the tour and how enthusiastically and respectfully it was anticipated. Attractive artwork to each cover and the Newport one still has its black and yellow (amber?) cord in lieu of staple. 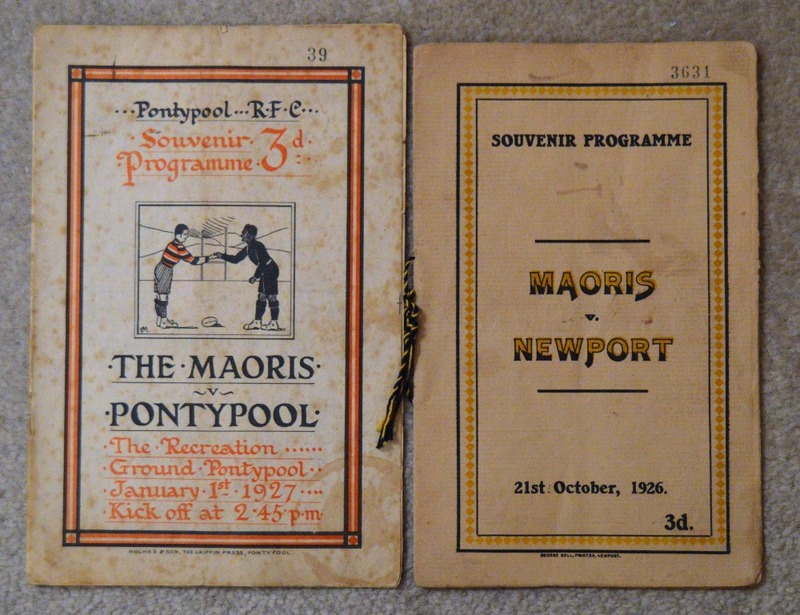 Each packed with previews, history, adverts, earlier team pic & the line-ups.